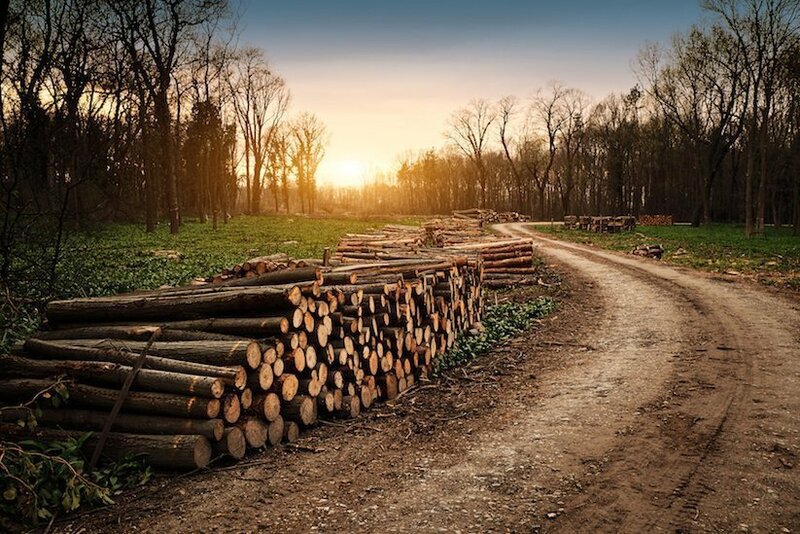 If you are lucky enough to own a piece of land with trees readily available to use to build your log cabin you probably won’t have given much thought about how to select the most appropriate logs for your home. You probably didn’t know that there are over seven hundred species of trees in the USA, however manufacturers only use roughly two dozen of them to build log homes. So, how do you know which species to opt for if you do need to source logs? Choosing the right logs is an important decision which needs to be made at the beginning of your planning process. The logs will determine the overall look and structure of your finished log home, the cost and how well your home with withstand Mother Nature. Making the decision as to which species of tree you should use to build your log home will fall down to a number of key things; appearance, cost, R-value, decay resistance, sturdiness/stability and availability. Let’s take a look at each of these different factors in turn. The look of the logs, and what you find attractive is very much dependant on your personal taste but you must also bear in mind that the appearance of logs can change when you apply preservatives or through weathering. If you are selecting your own logs, you will want to make sure they are straight and have a good length of around 10-12m. The cost of logs can vary quite largely depending on the species. Usually, slow-growing species such as northern white cedar are more expensive and fast growing species such as yellow pine are less expensive. The price can also be affected by the area in which you live in. If a species of wood is not readily available in your location, you will have the added cost of transportation. Insulation efficiency varies in different species of logs, however this is only very marginal and there are lots of other ways to insulate you log cabin and make it as energy efficient as possible, therefore the species you choose won’t have a huge impact. Trees produce their own natural decay resistance though toxins. These toxins help the tree to resist attack from insect infestations and fungi. The older the tree, the higher the concentration of toxins, so therefore the more heartwood a tree has, the more resistant it is to decay. Species that are fast growing have more sapwood are typically less resistant to decay but should not be ruled out as they are easy to protect and maintain with wood preservatives. Even the most naturally highly resistant species such as cypress, redwood and western red cedar, will still require treatment and maintenance. Almost all logs are likely to shrink and settle. Other concerns that you may have is that they will twist, warp and check. You can avoid these concerns becoming a reality and ensure your log cabin is stable and sturdy by choosing appropriate good quality logs during the selection stage. Your choice of log will very much depend on what is available in your local area, unless you are willing to pay a premium for transportation costs. 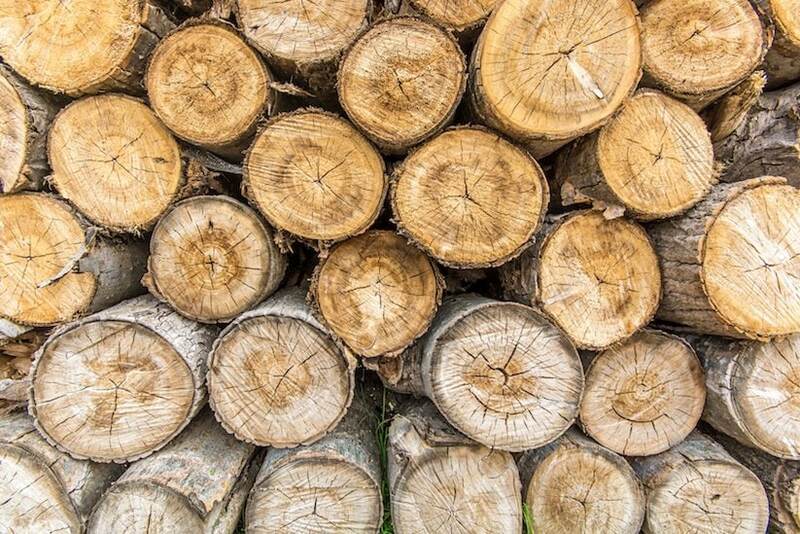 Once you have chosen the species of logs you are going to use, you will need to consider where the trees have been grown, and how they are cut and dried. Where the trees are grown? The higher the altitude the trees are grown in, the better. Slow growing trees produce much more dense wood and have tight growth rings which usually yield fewer cracks as the logs are drying. Many trees are now grown in tree farms, to keep up with the demand of trees needed. This results in less resistant trees as they have not had the time to develop as many concentrated toxins as a tree grown over a longer period of time. Trees that are grown quickly are more likely to be mostly sapwood too, which will lead to a log cabin which is prone to shrink and warp more substantially. When and how the wood is cut? Logs should be felled in the winter; to make sure the sap content is at is lowest. If you are buying logs from a manufacturer, it is important to also ask them which cut of the log they use. Although more expensive, you ideally want it to be mostly heartwood, the strongest part of the tree and not the sides of the log. How the logs are dried? 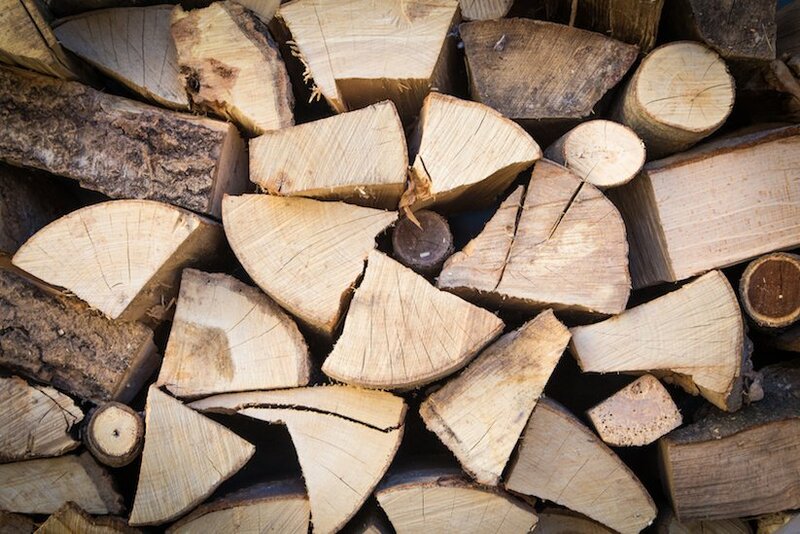 If you are air drying the logs, they should be left for 1-2 years, the longer you can dry them for the better. Alternatively, logs can be kiln dried. This process dries the logs at a slow rate to minimise damage to the wood. By drying the logs prior to construction you will minimalize the amount of shrinking, checking and movement your log home will make. Pine (white, yellow and red) Eastern or Western white Cedar, Cypress, Spruce, Fir, Hemlock, Ponderosa Pine, Lodgepole Pine and hardwoods such as Oak, Poplar and Walnut. Wood Handbook: Wood as an engineering material. We hope you have found this article useful in determining the perfect wood species for your future log cabin home. Which one have you decided to go for and why? Let us know below! To air dry your logs, do they need to be covered or can they just be left outside? When air drying your logs, first make sure you measure the moisture content so you can measure it reduce. Then in terms of covering the logs, they are best to be convened with either a plywood board or tarpaulin sheet. Make sure to weight the board or sheet to stop it being blown off! Typically for a softwood lumber. The Kiln would be fired to around 220°F – 240°F. I am using logs from southern Vermont. The property is full of “northern hardwood”. I think it is mostly beech, maple, birch, some oak. Is there a species I should avoide? If you have enough use a single species – oak. I will be using California Redwood trees to build a log home in New Zealand . They are currently still standing and are 35years old. Ready to be logged soon. Are there any problems I should be aware of using these logs to build a home. I have a ton of Eastern Red Cedars aka Virginia Juniper that were cut and saved when my family cleared land for a road. I want to build a fairly primitive cabin on the back of my property that will be more like a mancave. Will this Cedar be suitable for such a cabin? Yes Cedar is a great lumber to use, Eastern Red too.